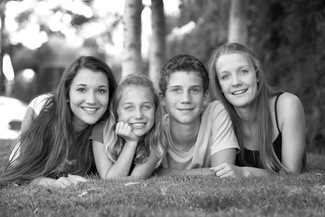 Family Portrait Sessions are back. Book your session today for the discounted price of $150 (normally $300) – includes one 4×6 digital image. Half of the proceeds are returned to the CDM PTA! Think of the holidays and gifts! Sessions are available on Oct 28, Nov 4, 5, 11 and 12 in Mark’s beautiful garden at 4010 Moratella Terrace.